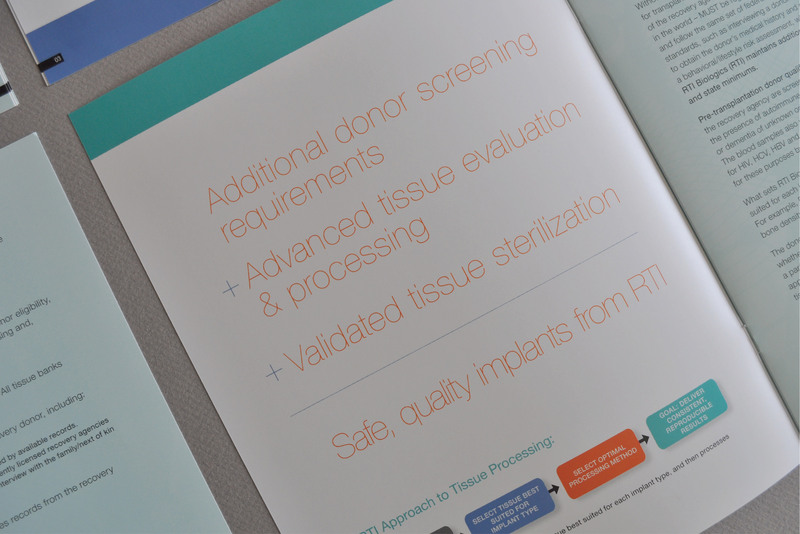 RTI Biologics (now RTI Surgical) is a biomedical implant company known for using their patented sterilization technique to process donated human tissue for use in surgeries where recipients want natural, organic matter to be used instead of metals or synthetics. 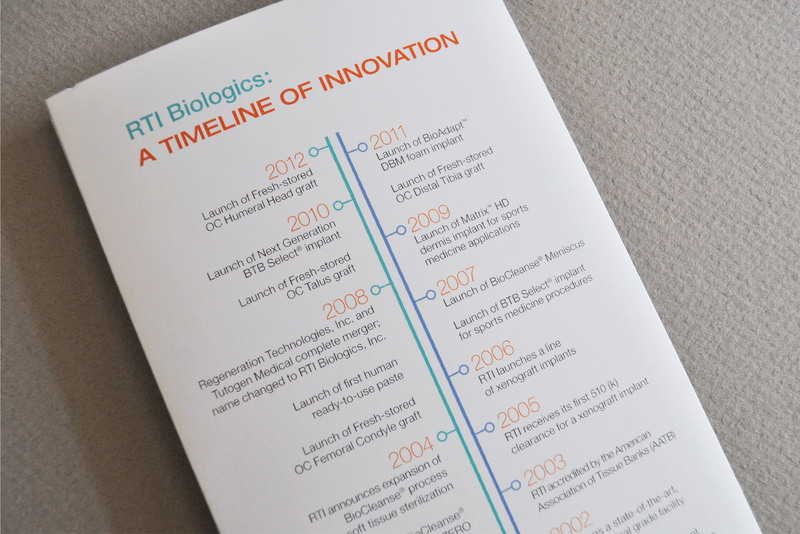 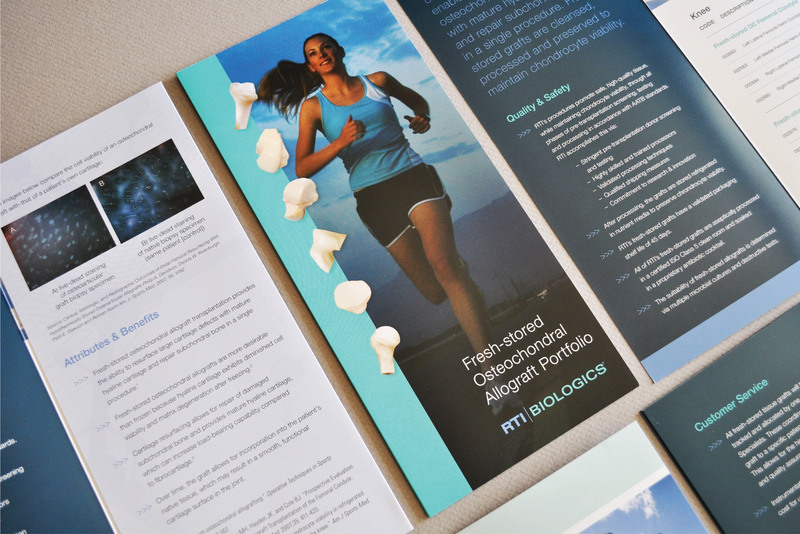 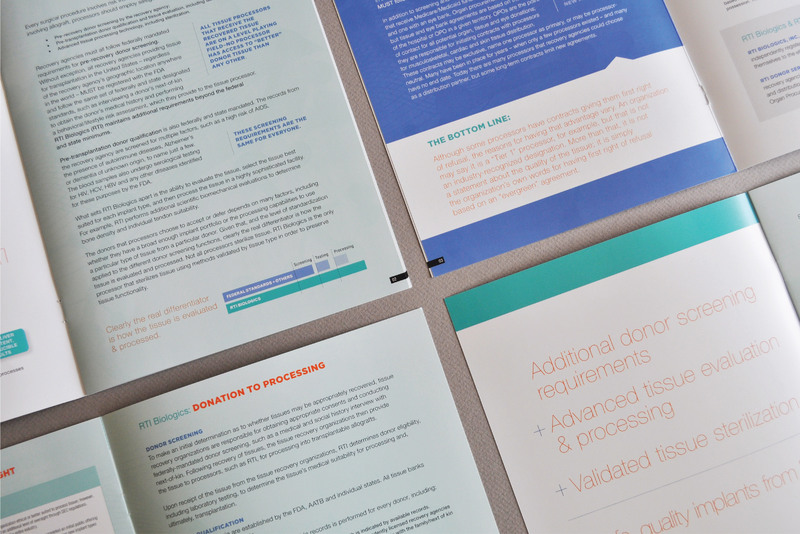 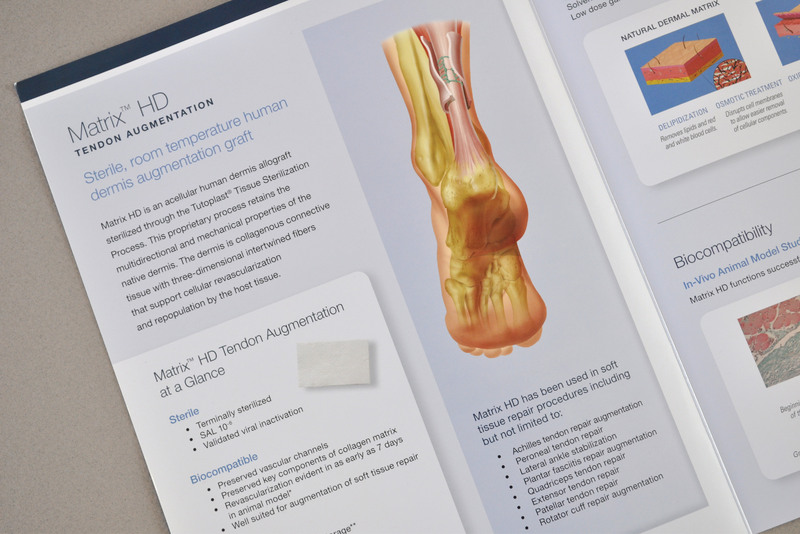 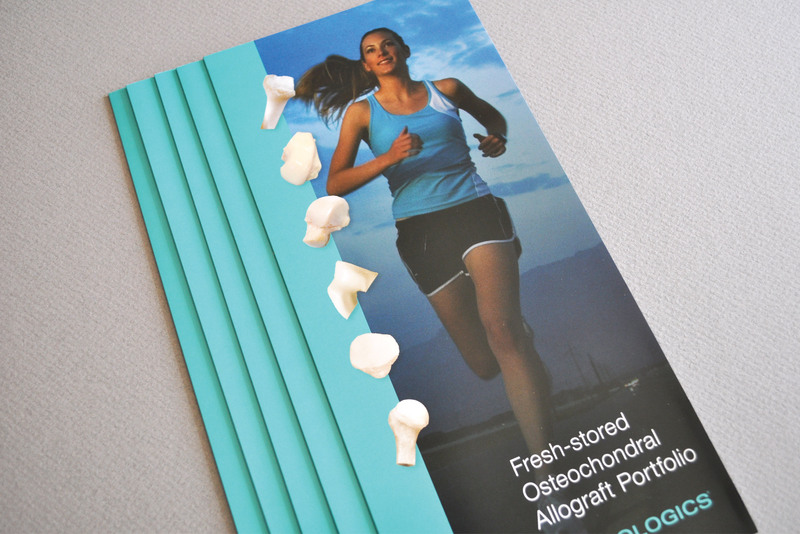 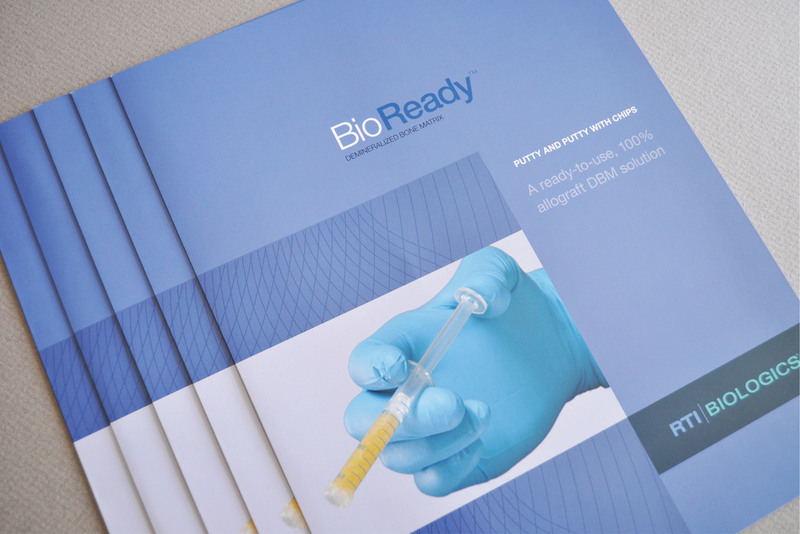 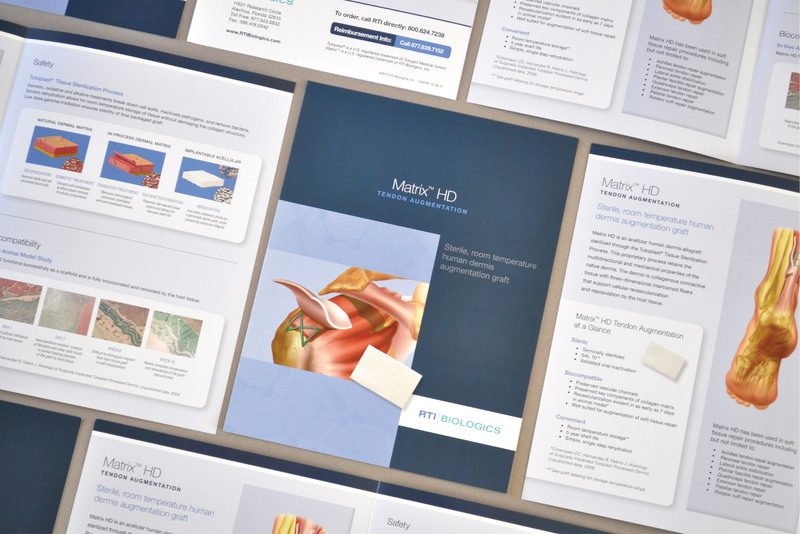 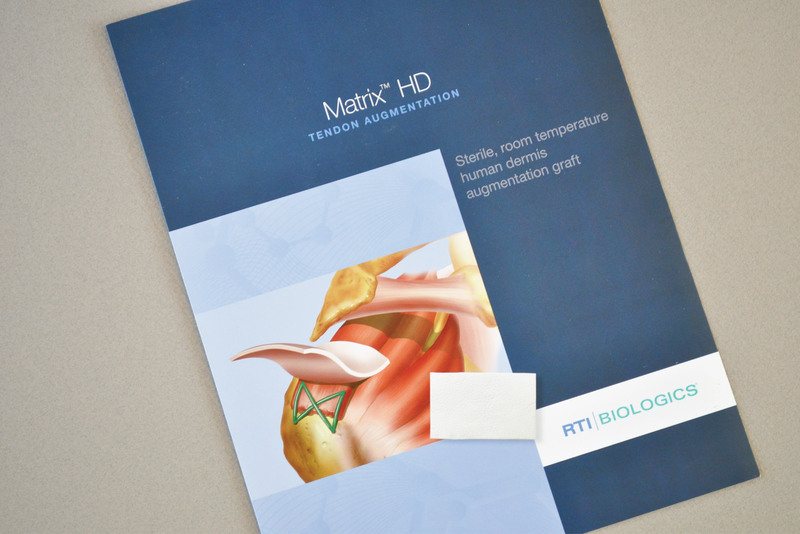 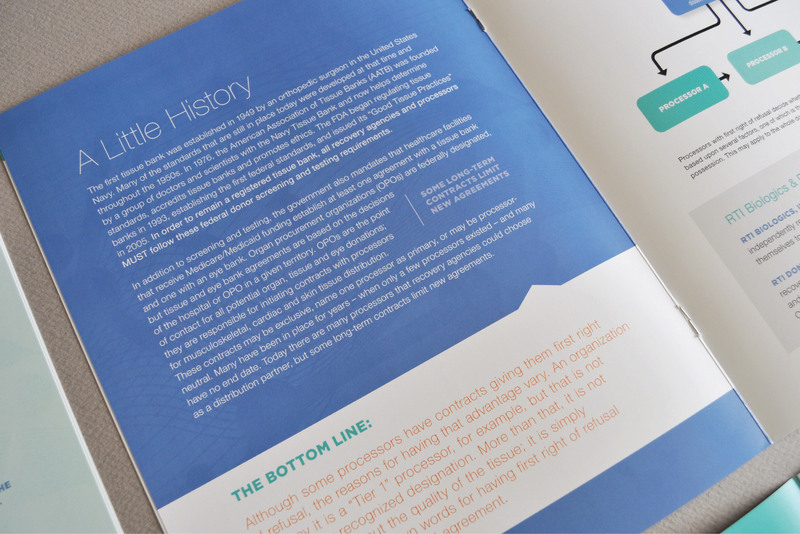 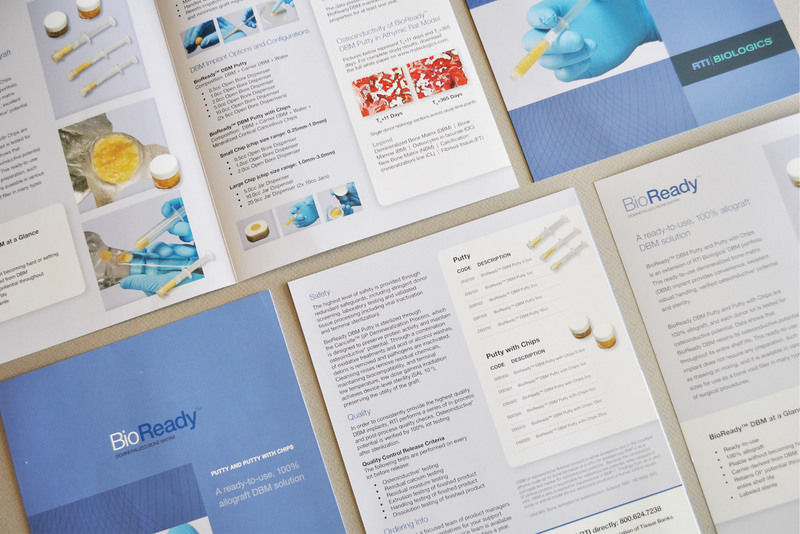 When we met RTI Biologics in 2011, they had some pieces of their brand in place, but we helped them to modernize and evolve it by selecting color palettes, fonts and treatments that could be applied consistently across their library of materials. 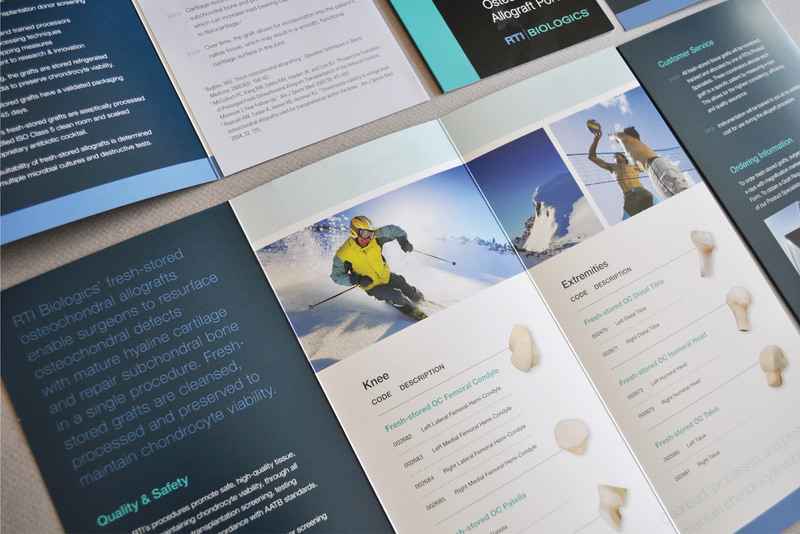 Then, we applied this newly-evolved brand across hundreds of deliverable touchpoints in print, web and environmental graphics.